Before I get started showing you how I have progressed, I want to tell you where those wonderful colors of blenders came from. They are Essentials by Wilmington Prints. I plan to have kits available later when this pattern is ready so you might be able to get your hands on some from QuiltWoman.com! Also, when I was choosing my dies for the background rows of this quilt, I chose only dies with finished heights of 3″, 4″, or 6″. There is a reason for this which will become clear later on. So I have my background rows laid out and it’s time to start sewing them together. 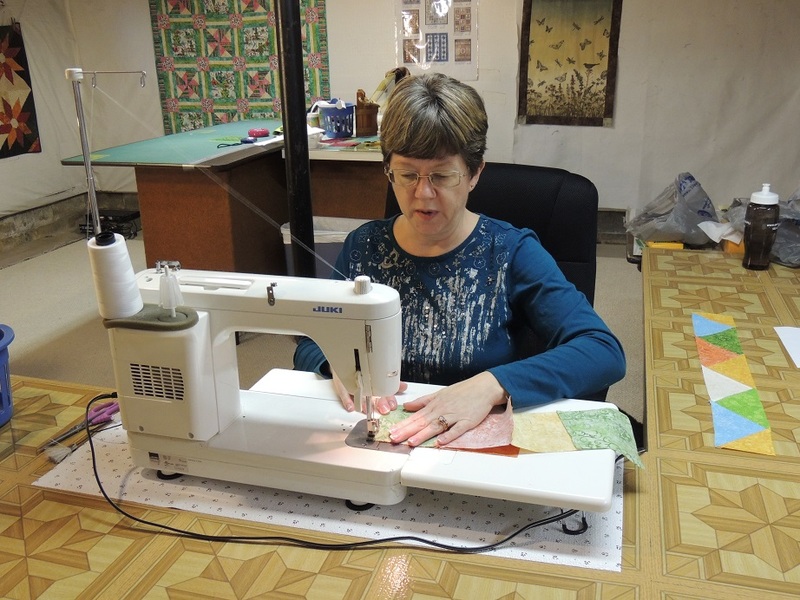 Here I am sewing them up on my friend’s Juki commercial machine – what a fast machine! And a thread cutter built-in to the foot pedal. It only does straight stitching but so fast! I might have to have one of these. Ohhhh Santa? 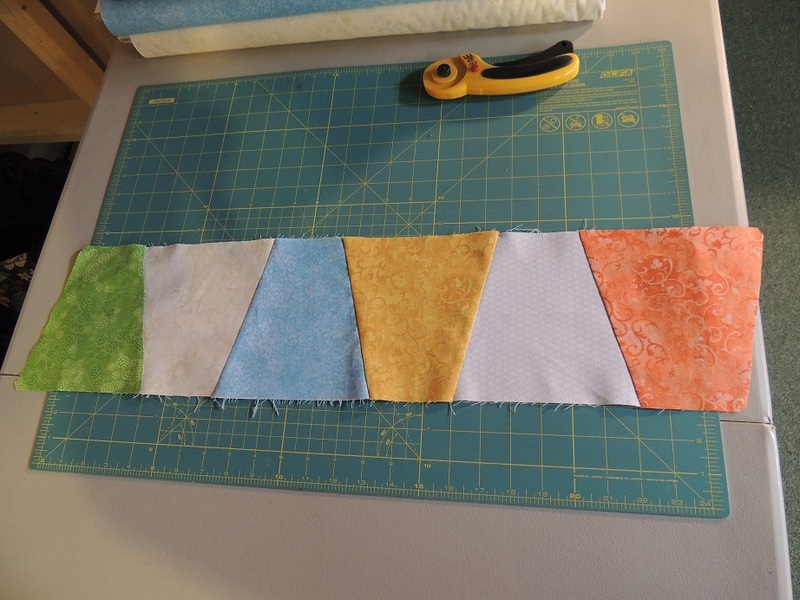 In my developing AccuQuilt GO! Pattern, some of the rows have pieces that are not straight on the side such as the large tumbler row shown here. Since we need all of our rows to be 24 1/2″ wide (24″ finished and you will see why later), we need to trim each end of this row. I folded the row in half to find the center and put the center on the 0 mark on my ruler. 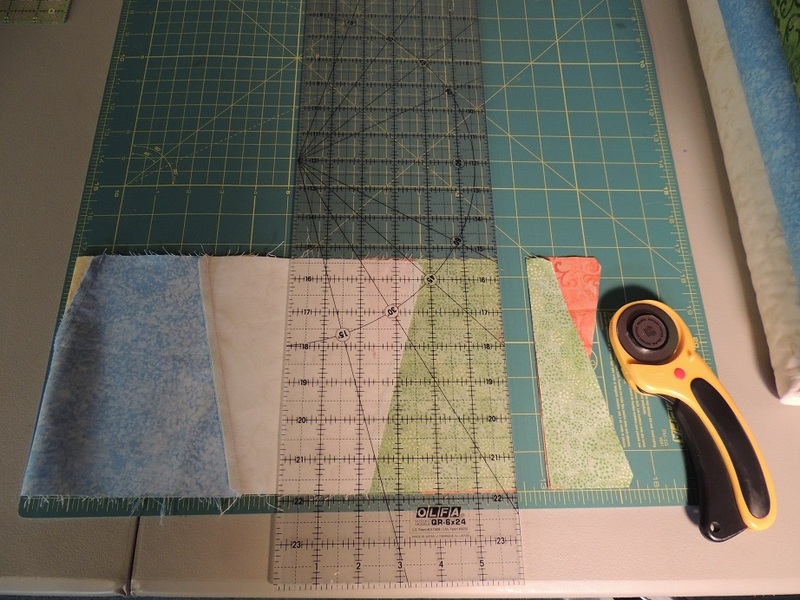 Then I cut off both ends at the same time at the 12 1/4″ mark (1/2 of 24 1/2″). 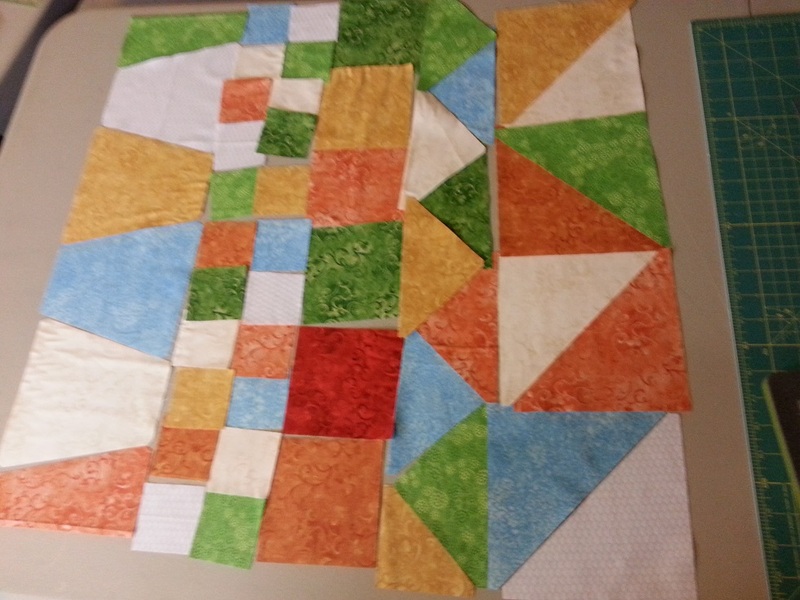 For my AccuQuilt GO! Pattern, we can do this with any of the rows that need trimming. Here are all my rows sewn together. 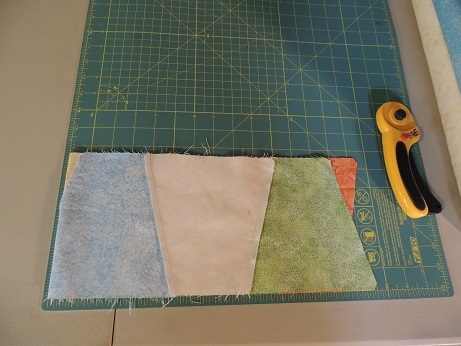 Stay tuned for Part 3 of my AccuQuilt GO! Pattern series. 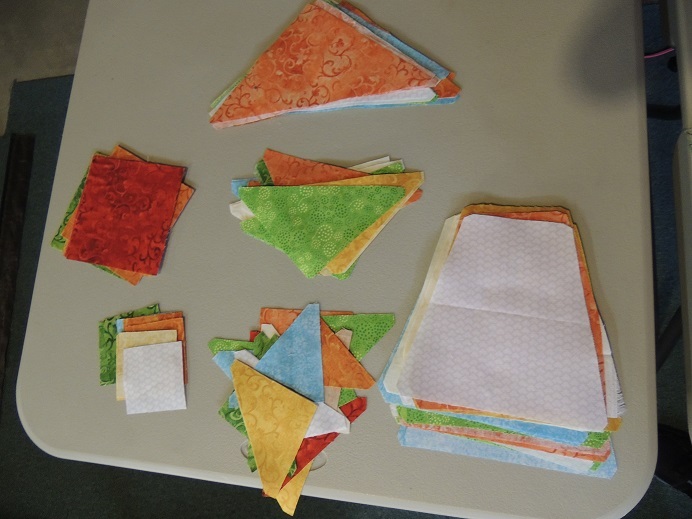 We will be making some appliques next! 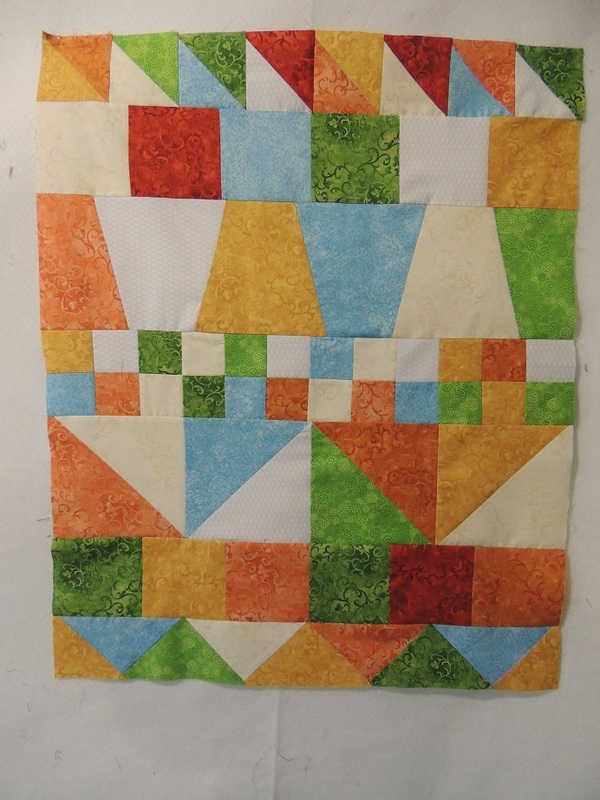 This entry was posted in AccuQuilt GO!, Fabric, patterns, QuiltWoman, Tutorials, Uncategorized and tagged AccuQuilt GO! Quilt Patterns, Nancy Dill, QuiltWoman, Wilmington Prints. Bookmark the permalink.